On Monday, February the 11th, the Polisario’s press agency (SPS) announced that the Front’s leader Brahim Ghali met with the UN Secretary-General Antonio Guterres, Sunday, on the sidelines of the 32nd Ordinary Session of the Africa Union Summit in Addis Ababa. 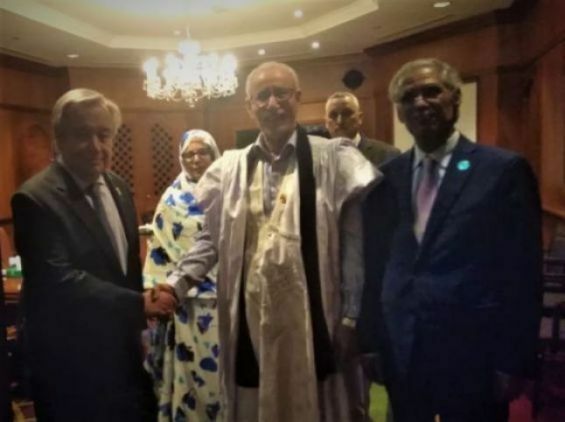 SPS published a photo showing Ghali shaking hands with Guterres, reporting that the two men spoke about «the United Nations-led peace process in Western Sahara in the context of the efforts of the UN Secretary-General and his Personal Envoy, Horst Koehler». However, only pro-Polisario platforms announced the supposed meeting between Brahim Ghali and Antonio Guterres. Indeed, during his trip to Ethiopia to attend the Ordinary Session of the Africa Union Summit, the UN Secretary-General held a series of meetings with African senior officials and presidents. All these official meetings were announced on his Twitter account and on two other accounts, namely the UN’s one and that of the UN Spokesperson. For the record, in December 2013, the Polisario published a photo showing former US President Barack Obama shaking hands with former Polisario leader Mohamed Abdelaziz during a tribute to South African leader Nelson Mandela. 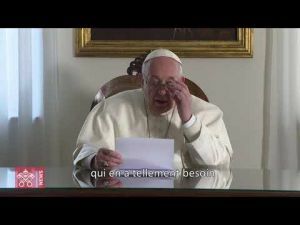 At the time, the Polisario announced that the alleged meeting with Obama highlights «the US support» to the separatist movement.